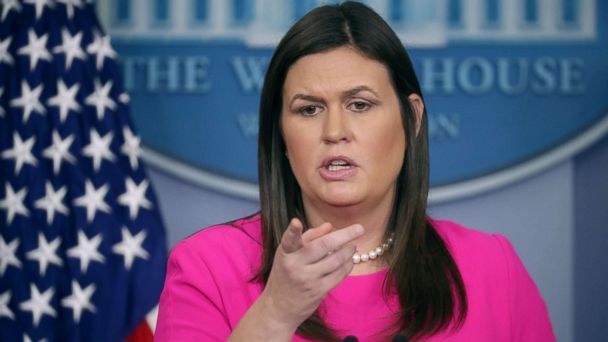 White House press secretary Sarah Sanders confirmed Friday that she has been interviewed by special counsel Robert Mueller's team investigating Russian interference in the 2016 presidential election. "The President urged me, like he has everyone in the administration, to fully cooperate with the special counsel. I was happy to voluntarily sit down with them," Sanders said in a statement to ABC after the news was first reported by CNN. One source tells ABC News the interview happened roughly 7-9 months ago, around the same time that it's believed other White House officials were being brought in for interviews. Sanders isn't the only member of the comms staff to sit for an interview with the special counsel's office. Former White House communications director Hope Hicks and former press secretary Sean Spicer also were interviewed by Mueller's team.